In the prologue to The History of the Destruction of Jerusalem, the author Josephus tells us that works written earlier by others “were marred by inaccuracies and prejudice” and that he “hopes to comfort the conquered and to deter others from attempting innovations”. Josephus’ classic account is indeed a gripping story evoking powerful emotions and leaves us in no doubt as to where our sympathy lies: As the mighty Romans lord over the powerless Jewish inhabitants of Jerusalem perpetuating cruelty and injustice, the story is as old as mankind. The oppression of human beings by fellow human beings is not a tale told by an idiot but by the chronicle of time. And as this history repeats itself, the once oppressed can easily become the oppressor. Where once it was the all-powerful Romans against the downtrodden Jews, today it is the high and mighty regime of Israel against the helpless Palestinians. Adding to this state of oppression is the deadly flotilla attack by Israeli commandos under the Netanyahu government, in which nine people were killed – with at least seven having been handcuffed and shot in the back of the head. Yet the latest United Nations report on the attack has completely gone off the mark by concluding that Israel’s blockade of Gaza was a legitimate act of self-defence. According to the Palmer Commission’s report, the legitimacy purportedly arises from Israel having to take necessary steps to protect its people from violent acts by Palestinian militants in Gaza, such as the firing of illegal rockets into Israel. While no one condones violent acts that threaten the security of the people of Israel, the purported rationale for self-defence in this case flies against the facts, the most telling of which is that a unilateral ceasefire by Hamas had already been in place since early 2009. Bereft of this pretext, the entire edifice for the perpetuation of deadly force by Israel crumbles. But that is cold comfort for the 1.5 million Palestinians being incarcerated in Gaza, who are now at the mercy of Israel’s land and naval blockade, which continues to deny them their right to move freely within and between all countries. Sanctioning such a military siege against a helpless civilian population is to turn the global rule of law on its head. And this is a community that has already been so dispossessed. As Edward Said once said, few national groups have been stripped of their humanity in the eyes of the world more blatantly than ordinary Palestinian men and women. 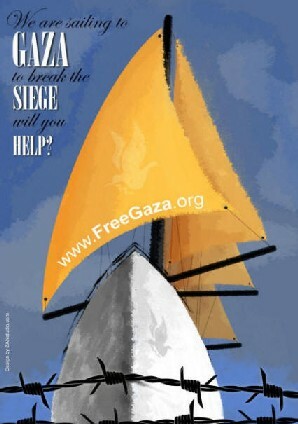 The attack on the humanitarian flotilla can neither be sanctioned nor rationalised. Apart from violating international maritime law, it was an act of ruthless aggression against an innocent party. No sovereign government can allow such a transgression to take place with impunity. When two Israeli soldiers were captured by Hezbollah, Israel invaded Lebanon. Nine Turkish citizens have been brutally killed in international waters, and no one should expect Turkey to sleep over the death of its citizens. One of those killed was also an American citizen, the 19-year-old Furkan Dogan, about whom the Obama administration has kept silent. Turkey is therefore right in unequivocally rejecting the UN report and all attempts to justify the military siege of Gaza as legal. Netanyahu’s announcement that Israel will not apologise to Turkey demonstrates his dereliction of responsibilities and a particular callousness towards a nation that used to be a military ally. He is completely misreading the dynamic of the new Middle East, in which justice, not oppression and authoritarianism, will shape history. More significantly, it has missed a golden opportunity to further the prospects of peace through an enhanced collaboration with democratic Turkey under Prime Minister Erdogan. There is no better time than now, particularly in the wake of the Arab Spring, for all parties to move towards a more enduring peace in the Middle East driven by universal ideals for freedom, democracy and justice. Anwar Ibrahim is currently opposition leader of Malaysia and was formerly the Deputy Prime Minister and Finance Minister.